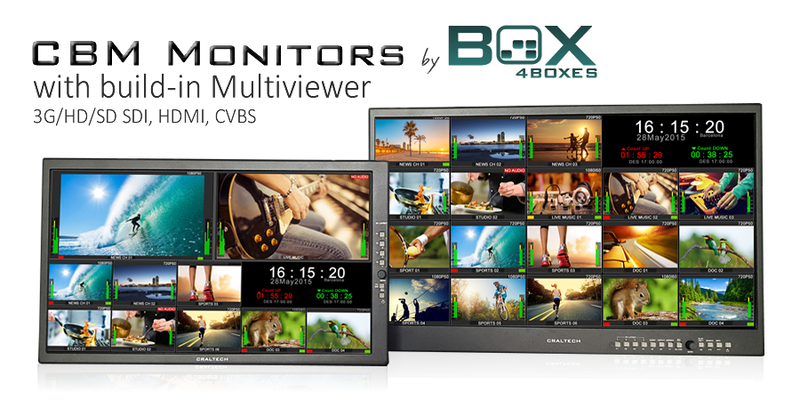 With superior quality 10 bit image processing engine, Box4boxes Multiviewers are space-saving, fanless and energy-efficient hardware based (no PC and no hard-drive) with low processing delay. 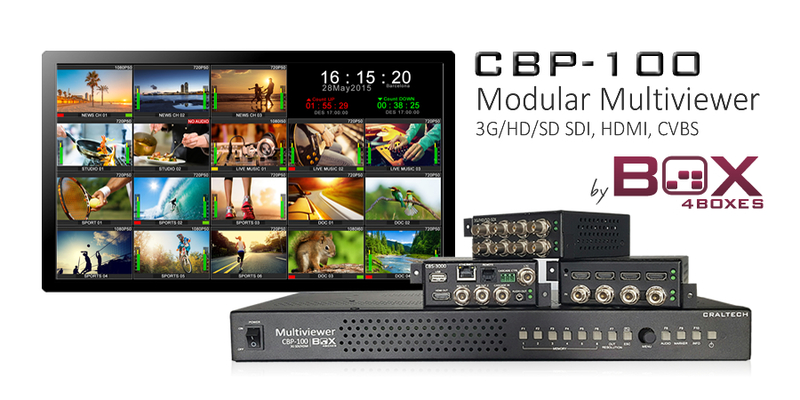 All our Box4boxes Multiviewer LCD Monitors and Video Processors must integrate a CBS-3000 control Box (CPU and connectors) and can combine 3G/HD/SD-SDI, HDMI and CVS input Boxes. CBS-3000 control Box integrates an Ethernet connector to control the Multiviewer remotely using our user friendly drag and drop Remote Control Software (SNMP compatible) and USB connector for upgrades. 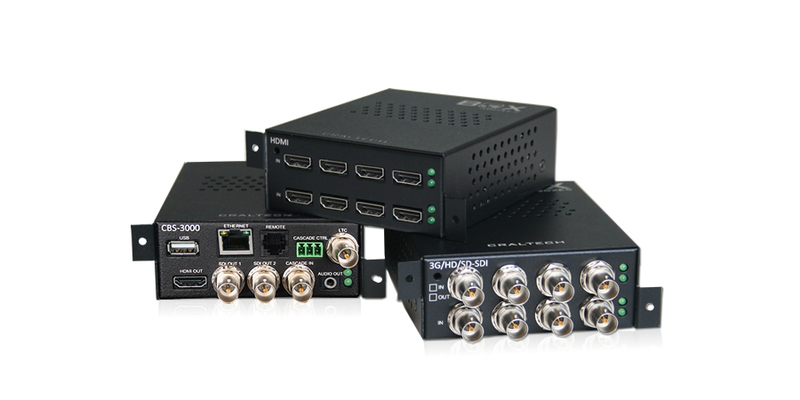 The CBS-3000 integrates dual 3G SDI output and cascading capability to increase the number of sources to be displayed in your system (Control up to 128 sources in 72 windows).